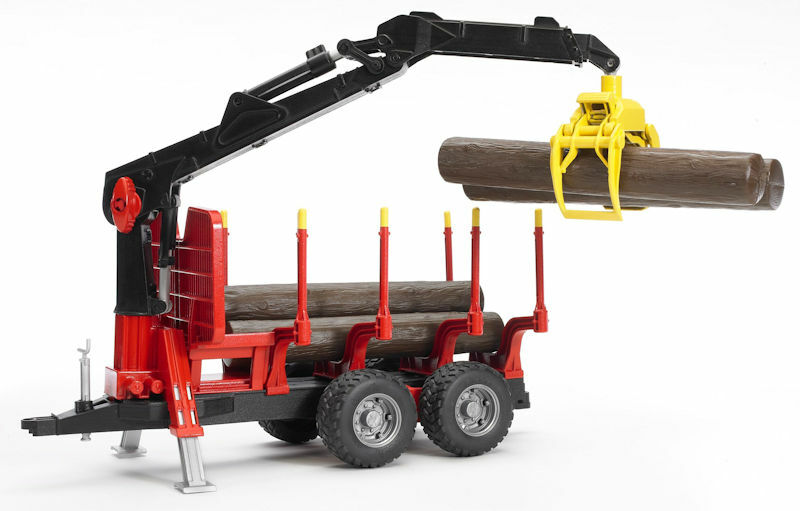 This forestry crane and trailer is ready for play! It is highly functional and is very detailed and realistic. Due to the all-terrain oscillating axle, the trailer makes light work of duffucult terrain. It is compatible with Tractors and Unimogs in Bruder's Pro Series and Ertl's Big Farm series for endless hours of play, indoors and out! Thank you for the fast delivery and quality packing for protecting my purchase! I will definitely recommend this site as well as purchase from here again.